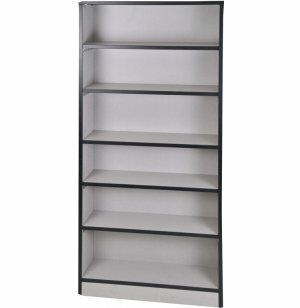 If you have lots of books to store, these double-sided bookcases are an excellent choice. Nothing encourages students to read like having an enticing classroom bookcase. With a durable build and strong materials, these bookshelves are just what you need to display your class literature collection in style. Sides and shelves are protected by a high-pressure laminate finish and 3mm edge banding. 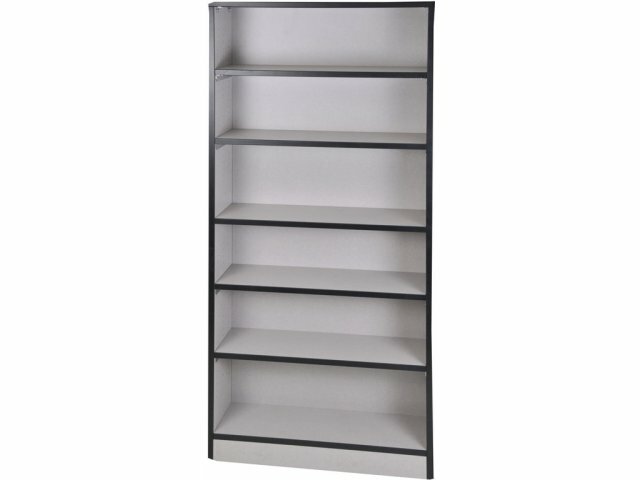 With secure shelving to support your books, you can provide your students with great reading materials for many years. These classroom bookcases are designed to suit your space. A selection of laminate finish hues can be coordinated with your other classroom furniture. With a number of sizes to choose from, you can get a perfect fit to maximize your space and budget. Inspire your students to find their interests and learn what they love with some great classroom bookshelves from Academia. Enhanced Support: Heavy-duty, fully-welded steel frame on the underside of the unit provides extra strength. Scratch-Resistant: Top quality, high-pressure laminate surfaces are stain and scratch resistant, and a snap to clean. Edge Protection: Visible ends are sealed with 3MM edge banding. Stable Shelves: Shelf pins are recessed into the underside of the shelves, preventing them from slipping forward. Great Selection: Available in a variety of laminate finishes with matching 3mm edge banding. Gray nebula comes with black edge banding.